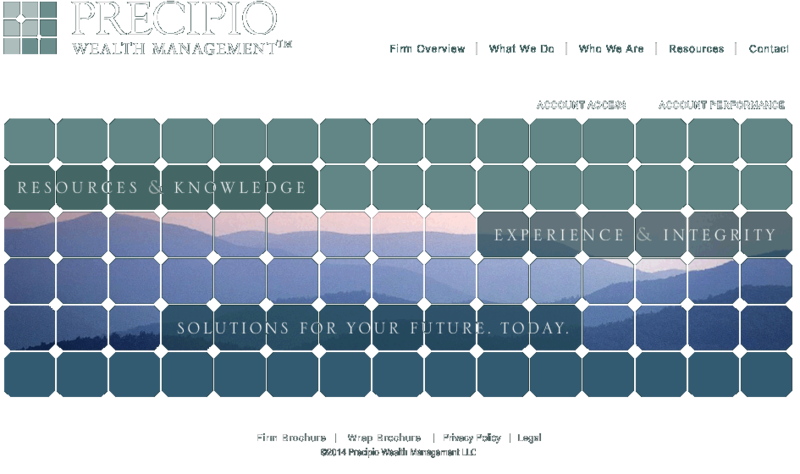 Precipio Wealth Management LLC - Registered Investment Advisor providing Professional Asset Management, a fee only advisory firm serving Virginia, Maryland, Washington DC. Content on this page requires the Adobe Flash Player. Precipio Wealth Management is a fee-only Registered Investment Adviser firm providing investment management and financial planning services to clients of substantial wealth and assets. Precipio is located in McLean (Tyson’s Corner), Virginia.